don´t regret a single thing buying this sweater. it has saved me from frostbite once again. the weather is cold, grey and sad. but i don´t have to tell you that again, no? the last picture just describes how i feel as of the moment. love it! 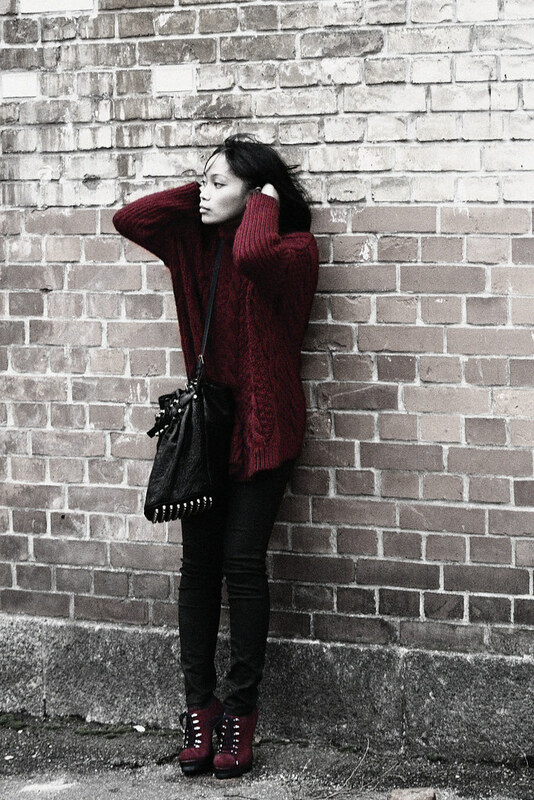 sweater amd shoes work perfectly together! Nice pictures and cool shoes! Send you a ray of sun from here! Gorgeous picture! I love the bag so gorgeous!!!! I love this bag!!! Great look! The shoes are just stunning. Loving your colour combo here!! I have the same jumper and love it! 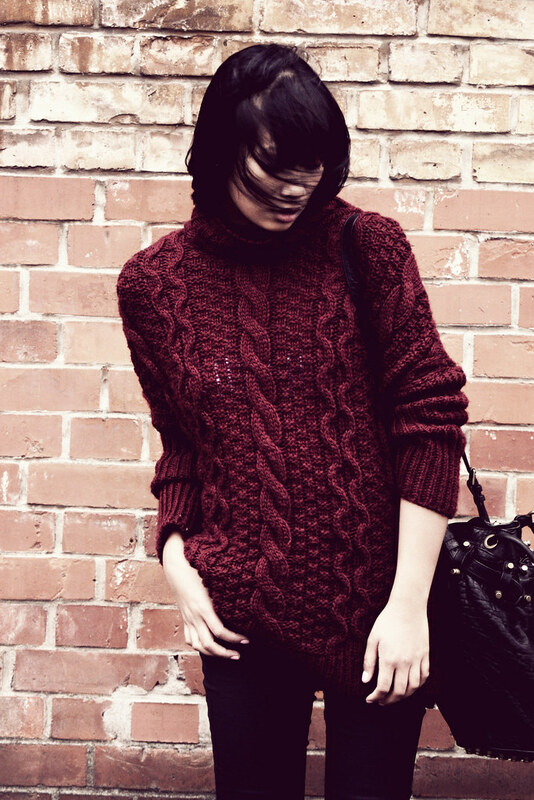 Wow...love the chunky sweater...the color is just so pretty! At least you look amazing!Well,I regret not buying it,it's perfect with everything! Nice look, I like the color of your sweater. Great great great style!!! In love with your sweater!! Great blog I'm glad I've found it! Very beautiful sweater, lovely outfit! Love the red sweeter ans shoes are amazing!! LOVE those shoes! they're a perfect match! Love this outfit, particularly the shoes!